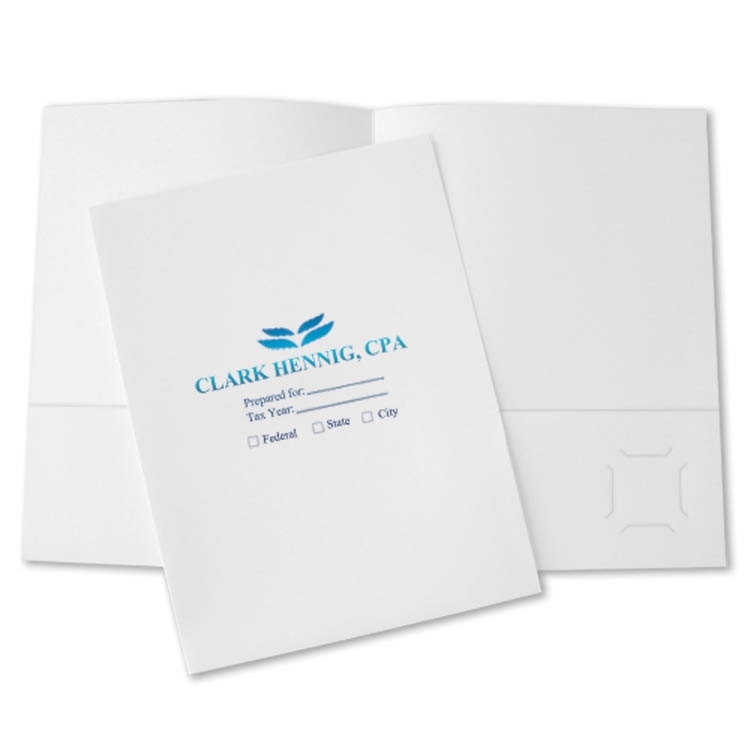 9" x 12" USA Made Presentation Folders with a one color ink imprint on Standard White 12 pt. Coated Stock with 4” inside pockets with business card slits on the right pocket. Prices include a one color ink imprint in a 3” x 5” area or up to a 15 square inch area on the front. Embosssing and Soft-Touch finish available, call for details. Ink printed, Foil Stamped, Small Quantity, Legal Size, Mini Size, Stock Design and "Splash" style Folders are also available, see other styles. IMPRINT: Includes a one color ink imprint in a 3” x 5”, or up to 15 square inch area on the front in one location.